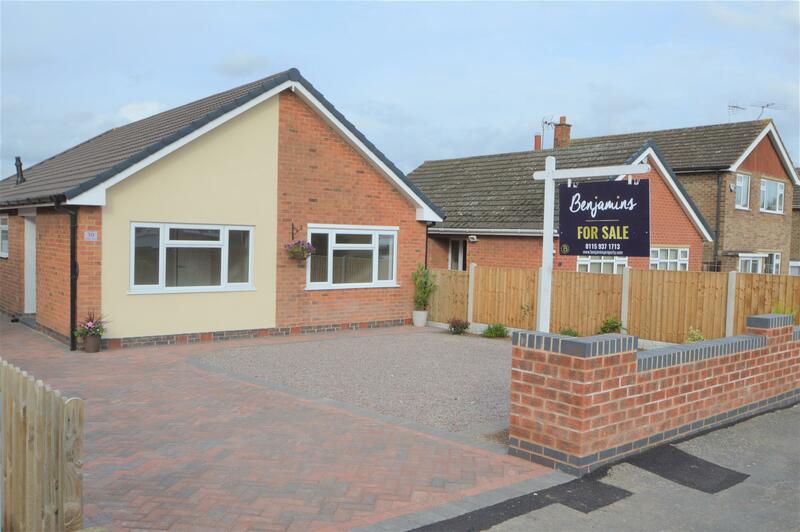 Benjamins welcome an exciting and fantastic opportunity to purchase a three double-bedroom detached property, offering immense living space. The property has been finished to a very high standard throughout, after undergoing an extensive refurbishment. Located in the heart of Keyworth this property is only a short distance from amenities and a good transport link. This 3-bedroom extended detached bungalow has been substantially re-built from the original 2-bedroom bungalow it once was. This includes, a new roof, new flooring and 75% of the property being re-built. The vendor has extended the property to include an additional large bedroom, a larger bathroom, and a separate utility. This is in addition to both the kitchen and living room being extended at the rear. The detached garage complete with pitched roof has also been newly built. Finally, the garden has been landscaped, with a raised patio area and sympathetic ramp access. The property is now truly unique to its surroundings. A viewing is a complete must, offering potential purchases the opportunity to put their own stamp on something original. The property briefly comprises of entrance hall, living room, kitchen and utility to the rear. 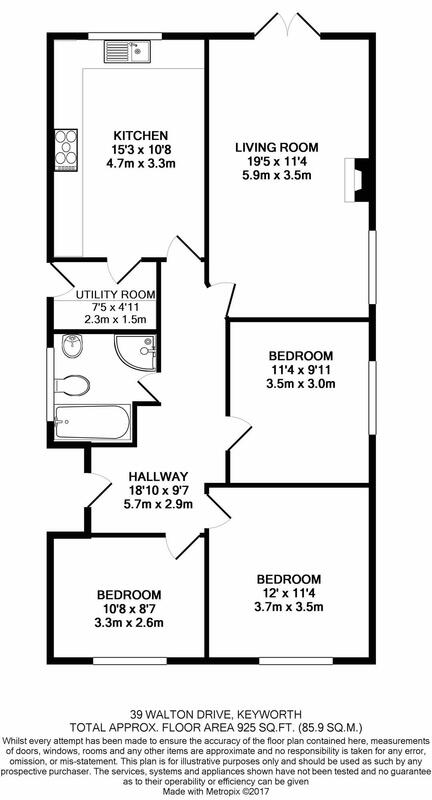 There are 3 double-bedrooms, and a four-piece bathroom suite. To the outside of the property there is a long drive way leading to the garage and private rear garden. Having a UPVC double glazed double door, porch down lights. Having a range of high gloss white wall and base units, with soft close drawers, roll top work surfaces, radiator, UPVC double glazed window to rear of the property, Siemens double oven, double electric warming drawers, Neff 6 ring gas hob with extractor, integrated dishwasher, integrated fridge/freezer, ceiling spotlights, Double stainless steel sink with mono chrome mixer tap, door leading to the separate utility area. Having UPVC double glazed window to the side of the property, electric fire, two radiators, carpeted, double ceiling light fittings, double patio doors leading onto the rear garden. Having a fitted whirlpool white bath with wash hand basin & vanity drawer, corner shower cubicle, fully tiled travertine tiles, chrome towel radiator, UPVC window to the side of the property, ceiling spotlights. Having a UPVC double glazed window to front of the property, radiator, carpeted, ceiling light. A larger than average Hallway, giving access to living room, kitchen, bathroom and separate toilet, two bedrooms. Cupboard housing electrics with new consumer unit, low energy spotlight, radiator. Having a UPVC double glazed window to side aspect, radiator, carpeted, ceiling light. With plumbing for washer and sink unit, newly fitted combi boiler, door to side driveway. Having a driveway leading down the side of the property giving ample off-street parking, access to detached single garage, with up and over door, power and lighting. The rear garden is landscaped with a raise sun patio area spanning the width of the property, stairs and gentle ramp leading to laid lawn, with generous borders allowing for the planting of flowers and shrubs.